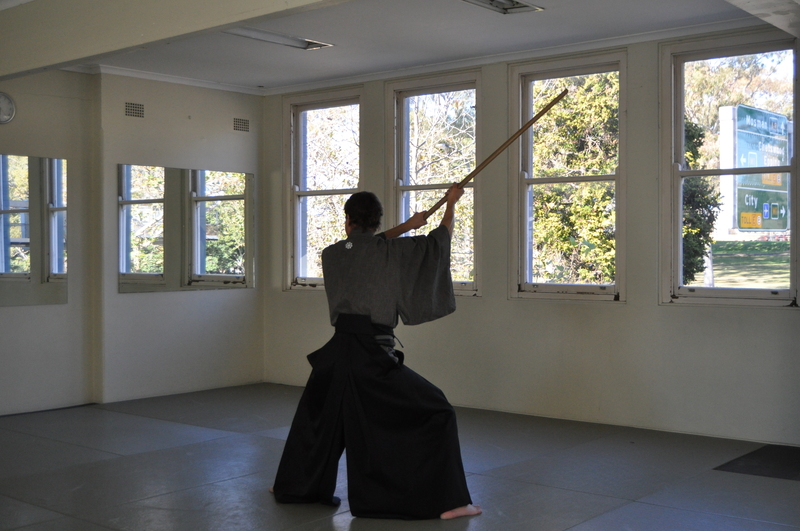 Hyoho Taisha-ryu Australia keikokai (study group) is still just the two of us – Go-san and I which is why the posting on this blog is infrequent – nothing much to tell. 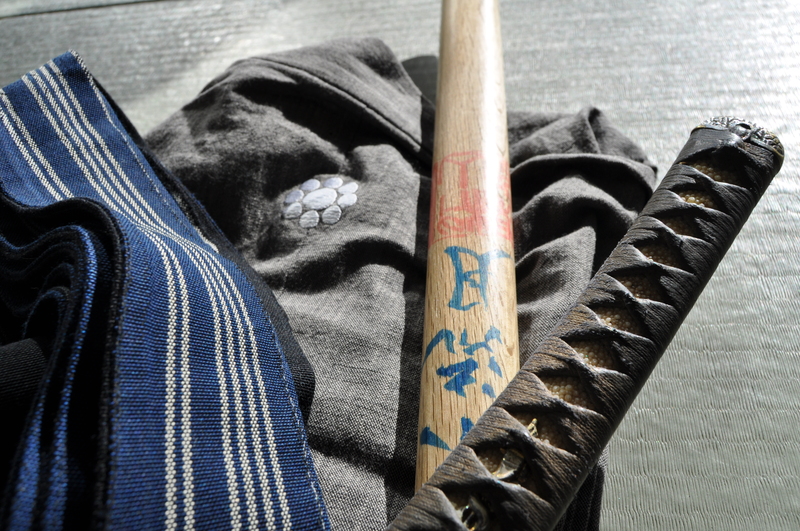 However, I’m going to the Yatsushiro dojo in Japan this week for ten days Intensive Training and will be going to the Saga dojo for practice and also to couple of enbu (demonstrations) at Hitoyoshi and Nishiki-machi festivals. For R&R I’m going to climb Mt. Takachio in Kirishima. I will try to post often while I’m there to explain more about the current state of the Taisha-ryu and also lots of photos of training and around some of the most beautiful parts of Kyushu. A few shots of todays training below. 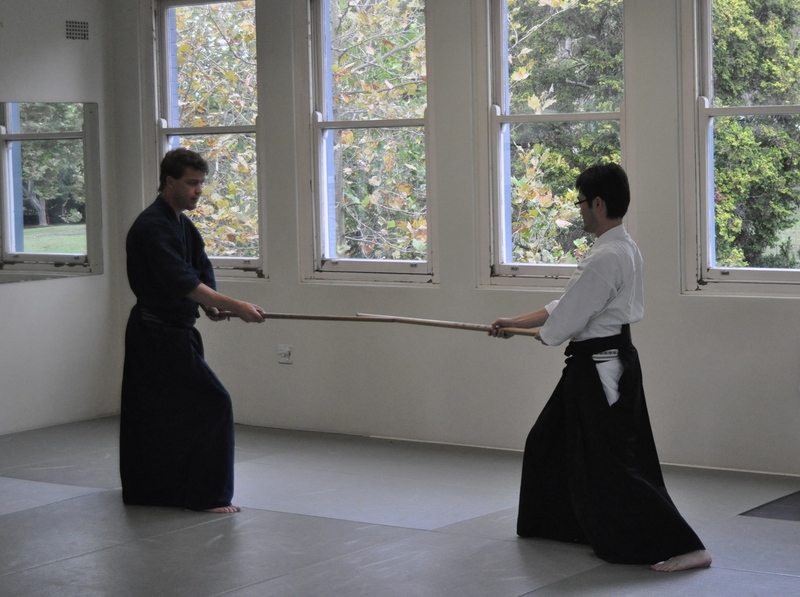 Notice how Go-san is able to stay in a low kamae pretty much throughout this series of photos of part of a kata while I’m not. I’m going to Yastushiro in March. Have to be much better by then. Today at the dojo. 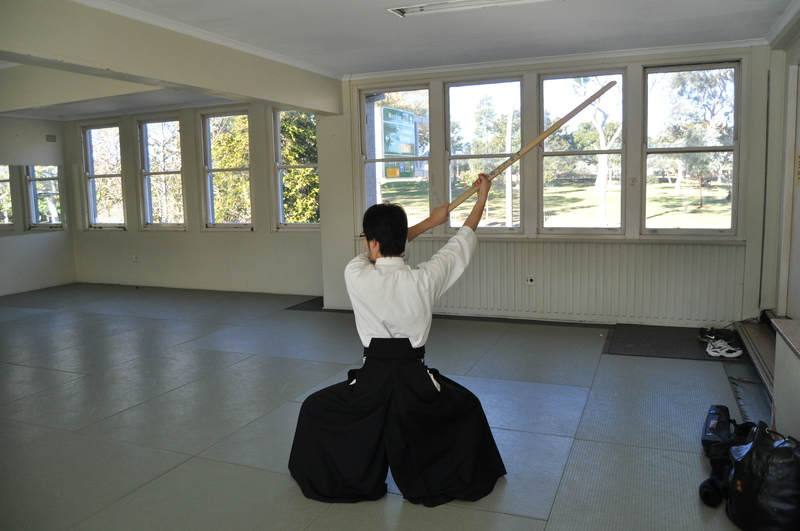 Working on basic kamae – still a long, long, way to go. June 6, 2014. First practice in Sydney.